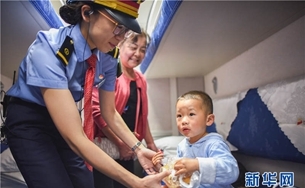 The first regular red-eye bullet train with sleeping cars running from Guiyang to Beijing started operation on May 21, Xinhua reported. 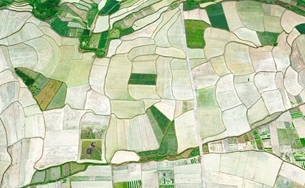 Photo taken on May 20, 2016 shows the rice fields in Baini Township of Yuqing county in Zunyi city, Southwest China's Guizhou province. 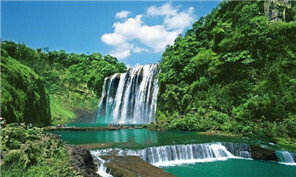 The full-blown lavender in Libo, Guizhou province, attracts many visitors. 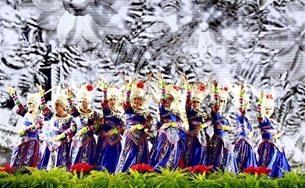 Performers sing folk songs at the Guizhou Tourism Development Conference in Beijing, capital of China, May 19. Moss grown in Duyun Maojian county, Guizhou province is reaping unexpected rewards to the tune of 15 million yuan ($2.29 million) a year in trade with Taiwan and Japan. At the foot of Fanjing Mountain in Jiangkou county, Guizhou province, is Zhaisha village, where most of the population belongs to the Dong ethnic group. For local villager Yang Juyuan, the development of tourism in recent years has allowed him to earn in a day what he could have earned in a year just five years ago. Tourism has both provided pleasure and helped to reduce poverty, according to officials and entrepreneurs at a summit forum of the First World Conference on Tourism for Development in Beijing on Thursday. Qingyan ancient town, one of the most famous and historic towns in Guizhou province, was selected to feature in a series of special postage stamps released on May 19.